Irish ciders Bulmers and Magners had a tough 2014. THE C&C GROUP, the company behind Bulmers cider, hasn’t lost confidence in its key brands despite big slides in sales last year. 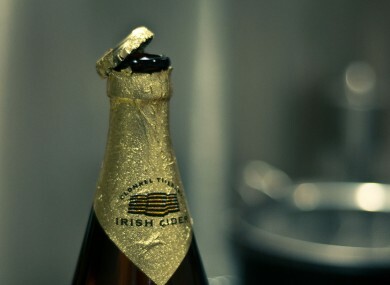 The company’s income from the top-selling cider brand in Ireland dropped 7.5% over the 12 months to the end of February, while in the UK its Magners label suffered an even heavier fall. The decline in C&C’s Irish business came after what it described as the one-off effect of an “exceptional” summer on Irish cider sales in 2013. However the company said it had been spending up on marketing and its “not a moment too soon” campaign had “resonated exceptionally well” with its target audience. In England and Wales, it plans to cut costs for its Magners business after sales of the cider brand plunged 14.1% by volume. Overall, the company reported its total operating profit was down 9.2% to €115 million despite net revenue going up 10.3% to almost €684 million for the year. Scotland, where C&C sells Tennent’s Lager among other brands, was one of the star performers with net revenue up a massive 61%. That was despite the “challenging” trading conditions for the last three months of the financial year after the introduction of stricter drink-driving rules. C&C CEO Stephen Glancey said the company’s core businesses in Ireland and Scotland – which delivered the vast majority of profits – had delivered “modest” growth in the year. Email “Last year the sun went away... so people stopped drinking cider”. Feedback on “Last year the sun went away... so people stopped drinking cider”.